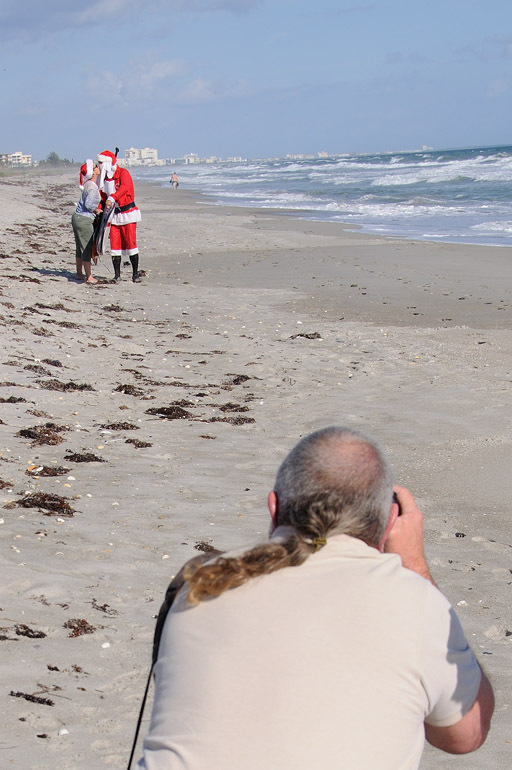 In front of his home in Cocoa Beach, George Trosset - wearing a beard of rags - rides the waves on Christmas Eve as part of a photo op pitched to my employer, FLORIDA TODAY. Note: Because I was raised in New England, Christmas is different in Florida, but it's still Christmas nonetheless. And I need to convince myself of that. So, in the next 20 days, including the holiday itself, I intend to find Christmas here in Brevard County and portray it through a different photo each day. 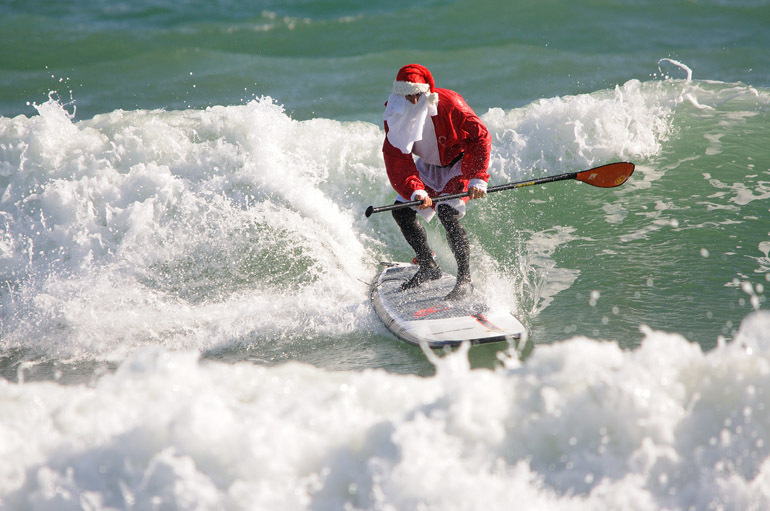 Amid his frantic worldwide gift delivering, Santa Claus and two of his elves took a break to go surfing in Cocoa Beach this morning, Christmas Eve. Why he chose Florida - where the surf was of decent height but extremely choppy Thursday - over Hawaii or Australia, I do not know. Only a staff photographer from FLORIDA TODAY and the surfers' family were initially on hand for the stunt - in addition to yours truly, of course. 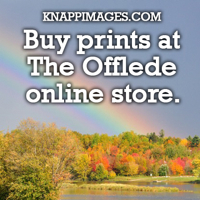 I heard of it only through the newspaper's photo editor. After the surfers attempted to catch a few waves, they attracted a few onlookers who were wondering what was happening. The female elf threw in the towel quickly. The surf was simply too rough. 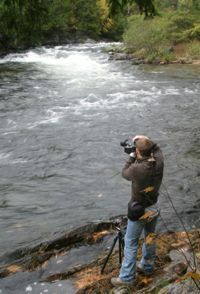 The other elf braved the cool water for a while but never caught a wave. Santa himself managed a few decent runs, then went ashore after his helpers were safely on dry land. 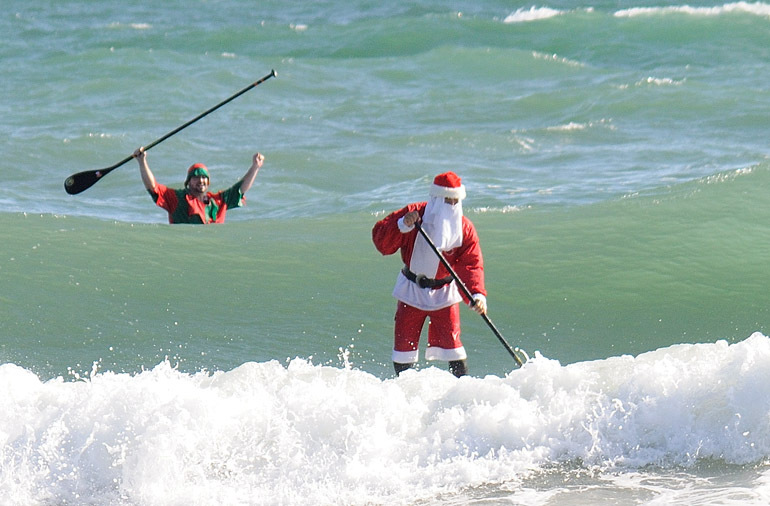 An elf, George Trosset Jr., cheers his father, Santa Claus, as Jolly Old St. Nick catches a wave. 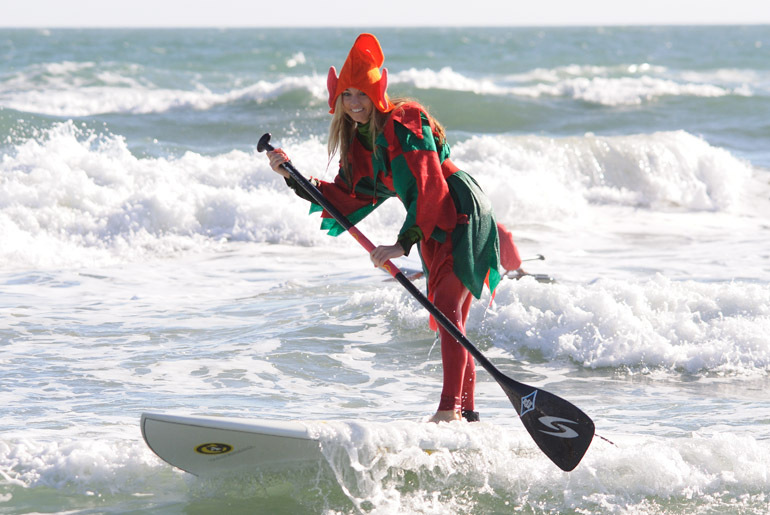 One of Santa's helpers makes a quick stand before falling into shallow water and paddling back to shore. 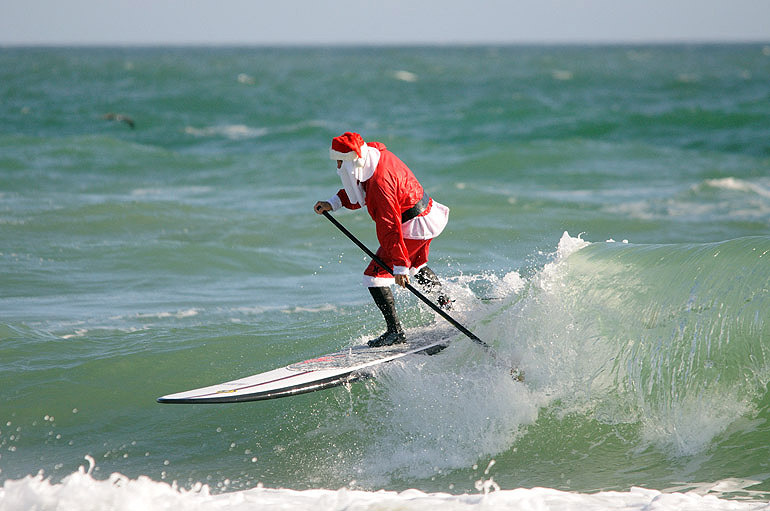 Santa rides a pretty wave. 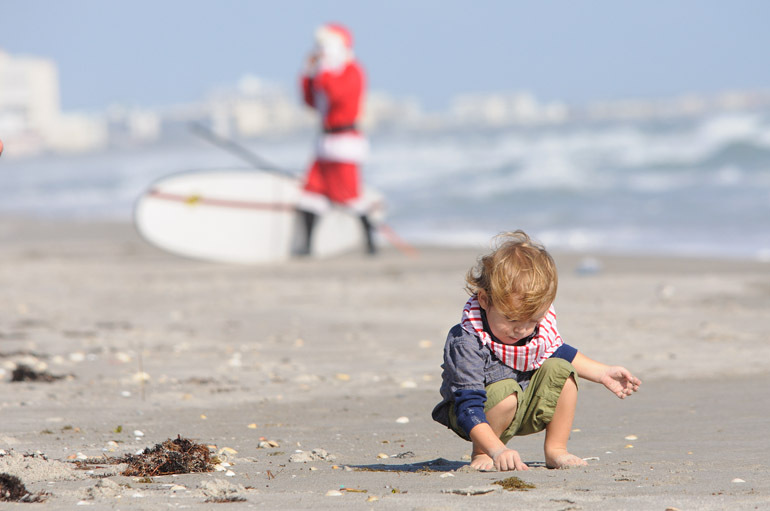 A boy - a member of Santa's gallery for the surfing event - plays with the sand as Claus comes ashore. FLORIDA TODAY photographer Rik Jesse shoots a congratulatory smooch between Mr. and Mrs. Claus.